With in-house recruitment becoming increasingly expensive, the demand for healthcare contract outsourcing is on an accelerating phase. Major healthcare or medical staffing organizations are serving as healthcare contractors for hospitals struggling with staffing. This also saves time in finding qualified professionals. Such healthcare service contractors and recruiters are responding to the distress caused due to the rising healthcare costs, changing patient demographics, stringent regulations, etc. The contractors can also help clients built on the health infrastructures with unique digital transformation efforts. Topmed takes entire responsibility for managing a broad spectrum of healthcare and outsourcing services, enabling the healthcare business units to focus efficiently on their core operations. We are the outsourcing experts offering the best-quality services for our clients. 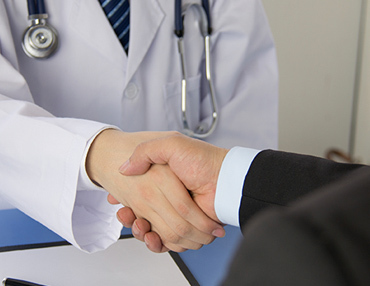 Managing healthcareoutsourcing requires an understanding of the strategy. In addition, a clear understanding is needed regarding the risks and benefits, evaluation process, and the methods for strategic management. With appropriate management, strategic outsourcing should provide healthcare professionals with a viable system for controlling costs and maintaining quality patient care. Outsourcing healthcare and the associated services hasproven an effective strategy for enhancing hospital performance and improving quality of services. Maintaining a central location for group practices: For practices with multiple office locations regionally and globally, the importance of a streamlined and regulated approach to management is even more crucial. It is important for a patient to be able to pick up the phone, call one central phone number, and have a standard, consistent experience.